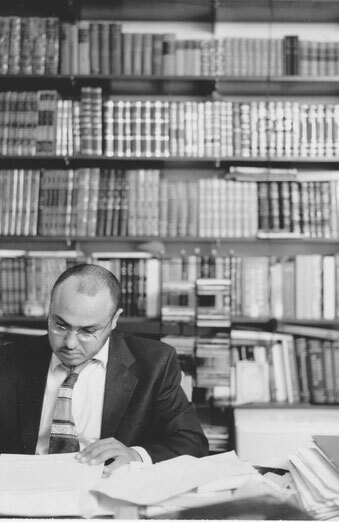 Dr. Abou El Fadl receives numerous inquiries on a broad range of issues pertaining to Shari'ah and Islamic law. From time to time, he will issue fatwa's (non-binding legal opinions) on various matters. These are real-life examples of how knowledge, beauty and reason come together to address modern day problems and issues in seeking the divine path (Shari'ah). The fatwa's presented here are for educational purposes only and not necessarily applicable to all situations and cases. They are written in response to specific questions. We have included both the letter of inquiry as well as the response. We have edited all inquiries to protect the identities and privacies of those writing to the Shaykh. Also, please note that these responsa reflect Dr. Abou El Fadl's views at the time of their writing. He continues to research and reflect on these weighty matters ongoing. 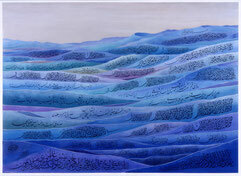 For more examples, see The Search for Beauty in Islam. "...Every Muslim may be entitled to declare an opinion on whatever he or she wishes. But a fatwa is not a point of view; it is a legal opinion. A fatwa is not personal advice given in response to a personal problem and it is not simply an answer to a question. A fatwa is a non-binding legal opinion issued in response to a legal problem. For instance, if one asks, 'How many times a day do Muslims pray?' The answer to this is not a fatwa. If one asks: 'Do you think it is a good idea to marry someone older than myself?' The response to this is personal advice but not a fatwa. However, if one inquires about a problem that is the proper subject of a legal inquiry, then one is asking for a fatwa. For example, if one asks, 'My father is opposed to my marrying this man, but legally, could I still marry him anyway?' This question solicits a fatwa. A fatwa assumes a conflict of evidence and a need to weigh and evaluate the evidence. In the language of fiqh [jurisprudence], a fatwa is issued in response to a problematic matter (amr mushkil). The point is well-illustrated by the following incident: A man asked al-Imam Malik about a matter. Imam Malik responded by saying, 'I don't know.' The man retorted, 'But this is a simple and easy matter.' Irritated, Imam Malik said: 'Nothing is easy in knowledge and fatwa.'..." On The Permissibility and Impermissibility of Abortion: We are worried about our career prospects, live in an expensive city with no family nearby, and are not sure we can afford a baby. But we do not want to do anything morally or Islamically wrong. What are my options Islamically? I have triplets and a supportive husband. I am pregnant again (unplanned) and I am depressed and considering abortion. Need perspective. My wife is 3 weeks pregnant but does not want to keep this baby because our youngest was premature and still not well grown. My wife is worried this one will be premature. Can we abort? I am 23 weeks pregnant, discovered my baby has a heart defect that requires surgery. There may be other defects that need further testing; this may lead to loss of pregnancy. Can I terminate? My first child died at 5 months; I would like another baby but my husband does not want a baby for 2 years. Do I have any right to ask for baby? My wife is 6 months into pregnancy and we found our baby has a serious condition that will lead to severe physically and mentally disability. Having passed 120 days, is abortion permissible? I am a breastfeeding mum and my baby is still small. I just discovered that I am pregnant and my body is not ready. Is abortion permissible at this stage? I divorced my wife twice. Can we still be married? My grown children gave me a wonderful puppy for companionship. I am concerned if my prayers will be accepted if I keep the puppy in my house. My very senior cat is at the end of her life. Is Euthanasia an option to consider? I am a Christian by birth from India, I started learning about Islam and started accepting it as word of God but I don't follow hadith because it is not from God. Am I still a Muslim? How can I be sure that taking the scarf off is not wrong? Is it permissible for a Muslim girl to earn a degree in a mixed university if the degree is something which can be given back to the community like science? Why would Allah give men inheritance rights that are superior to women? Upon marriage, my husband promised to make monthly payments to me but he has not. Can this be part of my will as a debt upon inheritance? My Muslim daughter wants to marry a man from a Christian background but not a Christian. He believes in One God and has no objection to future children practicing Islam. Is Nikaah permissible? Is it okay to take a mortgage to purchase a home? I am from a Hindu family and converted from Christianity to Islam, and want to marry a Muslim woman but her parents refuse and forbid her. Is this allowed in Islam? I am in love with an Ahmadi Muslim. I want to go forward but many in the Muslim world do not consider them Muslim and I am worried about community backlash. What is your opinion? Is mut'ah marriage (temporary marriage) permissible? Can he do it without me knowing? Can I use my Zakat money to help pay my niece's educational expenses and not tell my sister it is Zakat money so she does not feel humiliated? *For those who wish to submit questions to the Shaykh for possible fatwa responses, Dr. Abou El Fadl can be emailed at abouelfadl@law.ucla.edu. Please note that because the Shaykh receives so many requests, not every question can be personally answered.